NPH USA transforms the lives of abandoned and disadvantaged children in Latin America and the Caribbean by supporting the homes, healthcare and educational programs of Nuestros Pequeños Hermanos (NPH, Spanish for “Our Little Brothers and Sisters”). Together, we create families for life and teach children the values of unconditional love, shared responsibility and helping others. Our donors help children overcome poverty and become leaders in their own communities. NPH USA is a registered 501(c)(3) nonprofit corporation, Federal Tax ID# 65-1229309. Donations are tax deductible to the extent provided by law. We strive to be great stewards of our donors’ financial contributions and to keep general and administrative expenses as low as possible. Over the last three years, 78% of our resources were spent on programs, and 22% on administration and fundraising. This percentage compares well to other non-profit organizations and is subject to an external audit every year. Consider opening your hearts and homes to give hope to the weakest among us. 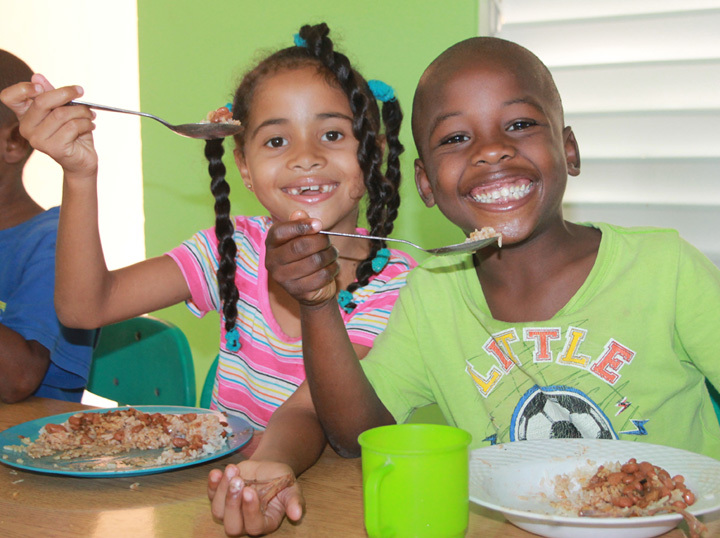 Make a donation or sponsor a child to help provide basic needs – food, clothing, shelter, health care and the education to the thousands of children at NPH. For questions about our program, or to learn more about the work of NPH USA, contact Monica Henry at (617) 291-6038 or mhenry@nphusa.org.